Before Dawn has me torn. It's low budget, amateurish, slow paced and in a lot of ways quite run of the mill, but the narrative is reasonably coherent, the setting is unusual and original, it's well acted with some quite memorable and shocking sequences and there is clearly a lot of passion from everyone for what they're trying to do. I'll get something out the way as well; the DVD cover bears no resemblance to the movie whatsoever and is quite baffling. That zombie's not in it, in fact they don't look like that, there's no city and that man with the gun isn't in it, or in fact is any gun. I know why they went with a cover like that but they shouldn't have. Anyway, let's move on. Alex and Meg (real life husband and wife Dominic Brunt and Joanne Mitchell) have dropped their children off with the grandparents and retreated to an isolated Yorkshire holiday cottage in a last ditch attempt to save their marriage. Without mobile signal or television they are unaware that the world outside is falling apart enduring their own personal pain and anguish as they face up to the harsh reality that their relationship may be beyond redemption. This set up is a good third of the film. There's no horror, no blood and not even the slightest whiff of an undead apocalypse and I should probably hate it all, but I kind of don't. It's a personal narrative and dare I say all a bit ITV soap opera-esque, which is of course Dominic's day job as an actor in Emmerdale, (a long running UK rural soap) but it is real, complicated, sensitive, intimate and well acted, with no easy Hollywood fixes. For how long it is though It doesn't drag on, it's well written and imbued with all subtlety you'd expect and I actually found myself empathising with them. Brunt also successfully captures the anxiety, uncertainty and fear the characters are feeling about their relationship, letting it spill out to give the film, despite there being no real drama or excitement during these early scenes, an atmosphere dripping with tension and foreboding. The morning after, Alex deals with a hangover and Meg escapes for a run. Out on an isolated trail we encounter our first zombie who on seeing her, takes chase and she gets a longer, more intense workout than she'd planned. 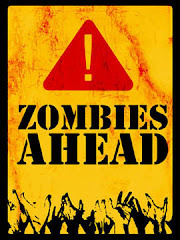 It's 2012 so of course the zombies are quick Boyle like without a single slow-shamble or raised outstretched arm in sight. They're frantic, rabid demons, snarling with idiosyncratic spasms and jerks and they don't like to give up on a quarry, easily bounding over walls and throwing themselves about. They're really quite gruesome looking with retracted gums, red eyes and lots of blood oozing from every orifice, and the small local make-up and effects team they hired have done a great job with what must have been limited cash. They of course want to feed on human flesh which seemingly sedates them, albeit temporarily, and even perhaps, its insinuated lets the old self re-emerge for a brief moment. It's also very much a zombie-virus transferred through blood and saliva so Meg should really have avoided being bit. 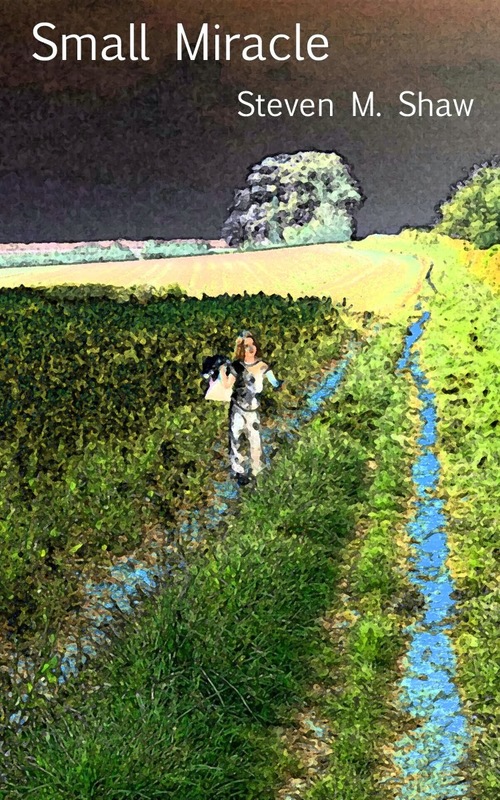 With Meg eventually loosing her pursuer getting back to the farm house, it's here the second act of the film properly takes off. It really is quite the change of pace with a danger of segmenting the film, though I think it does just about maintain its narrative flow and having now listened to interviews with the cast and crew it seems it was always meant to be a film of two halves anyway. 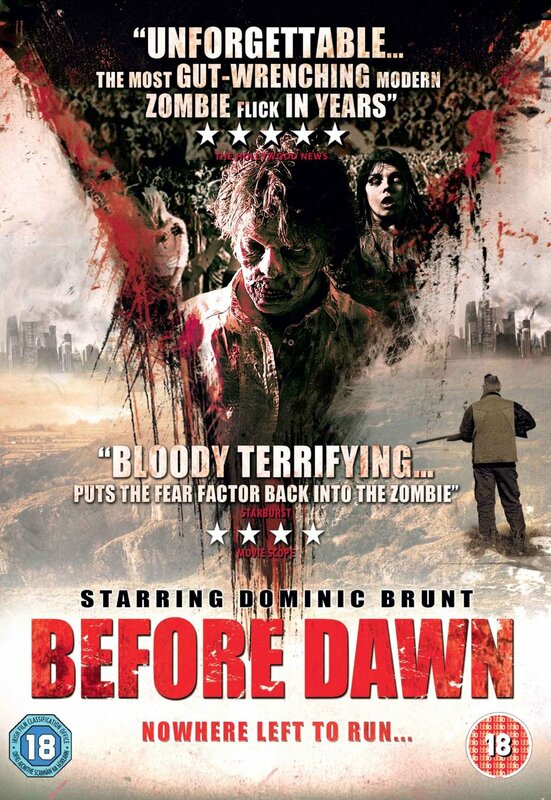 A collaboration between Joanne who wanted a personal relationship narrative and Dominic who wanted to make a straightforward no nonsense zombie film Before Dawn is an attempt to fuse two distinct genres and produce something that would appeal to both audiences. Now many would argue, and looking on IMDb they did, that all it's done is proved the point, fashioning exactly a film that neither someone wanting a gentle emotional drama would want to watch with the high intensity gore and horror, or the horror fan would want with too much personal guff; so in effect actually something that appeals to no one. But I'd like to give them a bit of credit and I like to think there are those that can actually appreciate a bit of both, and there is room for a film like this to exist. The intimate, painful relationship is as equally important as the rural hideout in setting up the drama and directing the characters behaviour. Brunt has crafter a personal drama and a personal zombie film. It's tight, the action sequences are memorable and it made me jump on more than one occasion, which can't be said for many films. It's also unashamedly as British as it could be and there are no guns or explosions in sight. The passion and love Brunt and the small crew have for the genre can clearly be seen and after watching the fifty minute documentary extra on the DVD, I have nothing but the hugest respect for all involved, and also for introducing me to the Leeds Zombie festival which I'm now planning on attending. Not a perfect zombie film by any stretch but taken for what it is; an amateur low budget tight claustrophobic zombie narrative with complicated, deep characters, it's actually quite enjoyable, 6/10.